Fund for Assistance to the ROCOR - You led the horse to water. Then you helped it drink! Thanks to donors like you, our brothers and sisters in Haiti received training that gave them real skills to combat poverty. Thanks to you, the supporters of FFA, our Orthodox brothers and sisters in the poorest country in the Western Hemisphere are becoming financially independent for the first time in decades. Not only that, but you are helping to provide the community with skills that will help them for generations to come! Haiti has been constantly battered by disasters for the last decade. In September 2004, tens of thousands were displaced by widespread flooding. In 2008, four fierce tropical storms destroyed over 60% of the country’s food stock. In 2010, a magnitude 7 earthquake destroyed most of the capital city of Port au Prince. Still reeling from the earthquake, the Orthodox community of Haiti was rocked with the tragic early death of their spiritual father, Fr. Gregoire, in November of 2015. As though that weren’t enough, the region was struck with another destructive hurricane in 2016. Can we blame our Haitian brothers and sisters if some of them have lost hope? Why work, after all, if everything will be destroyed again anyway? But with your help, FFA acted to stop this self-defeating cycle. 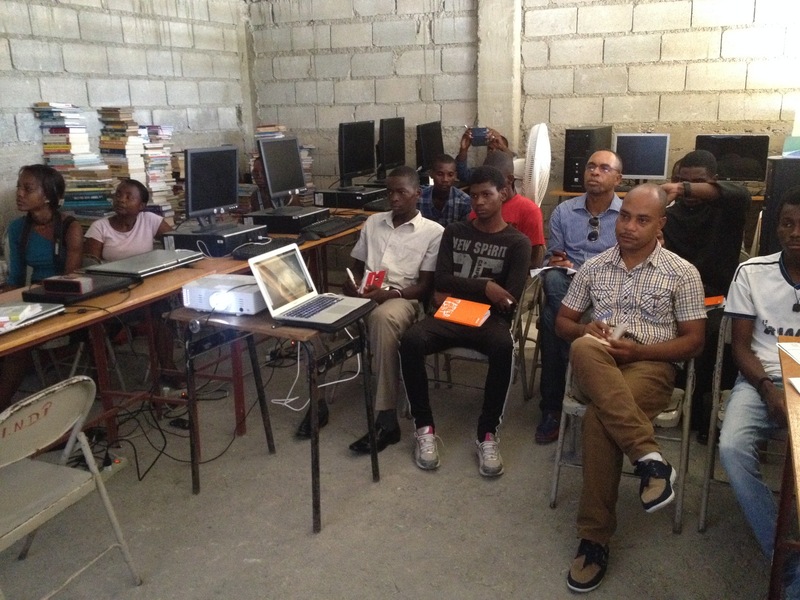 Thanks to your support, the FFA has joined with the Orthodox Mission of Haiti to present a “Congress on Work,” which included a special training session on “testifying through multimedia.” Imagine a room equipped with a dozen computers and a video projector, where 15 people are listening attentively to various courses, including rudimentary training in computer science, photography, communication, and even liturgics. These courses provide impoverished Haitians with practical skills that they can then use to support themselves financially. But far more importantly, the acquired skills allow them to testify to the world, in multimedia form, how their spirit can overcome seemingly insurmountable obstacles. The participants also worshiped together, even finding time to make a pilgrimage to the parish of Saints Peter and Paul in Leogaine. In effect, you’ve empowered the people of Haiti to lay the foundation for the financial stability of their children and grandchildren for generations to come. A lack of rudimentary knowledge in how to use computers (some students don’t even know how to use a phone, much less a computer. Despite many other setbacks, you’ve helped lay a valuable foundation. Those who participated were inspired to continue their training, and they will become ambassadors of hope to their respective communities. We hope that you will continue to be a beacon of hope to our Orthodox brothers and sisters in a region that has seen little hope in the last decade. Please give to help your brothers and sisters in Haiti today!